We specialize in bringing together Offshore and Shipping employers with Seagoing and Shoreside job seekers worldwide. 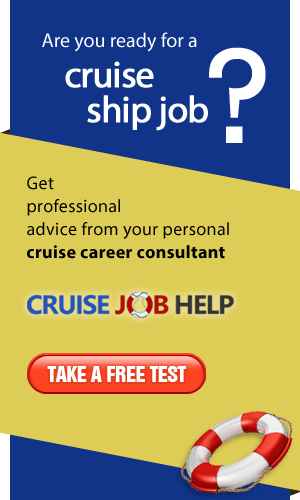 We cater specifically to the cruise industry and we only accept candidates with a genuine interest in working on cruise ships. Recruiting agency of entertainment staff for cruise ships. Broadway Bound, Inc. was established in 1998 to bring quality theatrical entertainment to the cruise, resort, and casino industries. Canyon Ranch SpaClub runs fully equipped gyms, fitness classes, delightful facials and body treatments on world's biggest cruise ship Queen Mary 2. Century Casinos is an international casino company led by a team of gaming industry professionals who have developed and operated more than 100 casinos in 20 different countries. We also operate our casinos on cruise ships and cruise resorts, such as Silversea Cruises, Oceania Cruises, The World of ResidenSea, etc. Cruise Artistes International is a dedicated full service cruise ship entertainment manning agency and production company. DCP is well known to be the largest booking agency in the cruise industry. Dreamhawk Production is rated one of the top Entertainment Production Companies in the US. We represent many highly rated entertainers, and are always looking for additional "First Class" established entertainers, as well as fresh new talent entering the entertainment world to add to our roster. Flagship Entertainment is an industry leading music agency representing entertainers worldwide. From solo to group acts, we work with the most talented entertainers from around the globe. Jean Ann Ryan Productions is a full service entertainment company specializing in Las Vegas Entertainment and Award Winning Broadway Shows. We are noted as the World's most respected and highest rated Cruise Ship Entertainment production company. Official Authorized Referral Source for Royal Caribbean, Celebrity Cruises, Azamara Cruises, Norwegian Cruise Lines and Starboard Cruise Services. Landau Music is an industry leading entertainment booking agency representing a wide variety of acts. The Working Vacation® Inc. is a cruise enrichment and consulting company. We select and invite highly qualified Gentlemen Hosts® and Presenters to voluntarily provide enhanced social programs and extended hospitality for guests cruising. Professional speakers onboard cruise ships. As former entertainers, musicians, and management for the major cruise lines, we are the industry experts. We understand shipboard life, the cruise ship passenger, and the details that insure a successful engagement. Whether you're a musician, variety act, dancer, lounge band, or headliner, we can help. ProShip is North America's leading agency linking musicians, entertainers and technical personnel with luxury cruise ships. Based in New York City, Quality Overseas Music is run by industry professionals who know the business from the inside out. If you are a musician, singer, band or act who has what it takes, we will get back to you within 1-2 days of your contacting us. 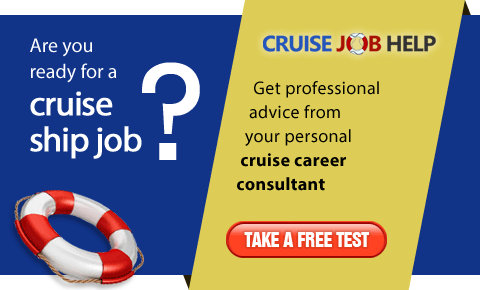 Work for one of the best cruise lines in the industries! We are always looking for people: printing specialists, photographers, sales people, production managers, people with accounting skills. Starboard is the world’s largest and leading duty free retailer, operating onboard 82 cruise ships worldwide with more than 1,000 employees around the world. Suman Entertainment Group is the largest music agency in the US for one reason; our clients trust that we ONLY deal in the top tier of talent. IMAGE is the largest and fastest growing photo concessionaire in the cruise industry and offers excellent opportunities for personal and career development. Steiner are the largest and most renowned company that operates spas at sea. Steiner employs over 2000 spa professionals every year to travel while they work. The PPI Group links consumer to cruise products and cruise products to retail sales services, skillfully fusing the very complex pieces of the industry-wide jigsaw puzzle. We are a dedicated team with over 20 years of experience in the cruise ship industry. We make it top priority that our artists receive support, communication and consistent work. Experienced crew for LNG/LPG; chemical, product and oil tankers; bulk vessels; car carriers; container vessels; hydrographic and seismic survey vessels; FPSO; FSO; MOPU and cruise.